70-year-old Martha Bell spent more than 7 years behind bars for Medicaid fraud and the death of a patient at her nursing home. Just released from jail, she is now charged with bilking an 89-year-old man out of $322,000 in yet another Medicaid related scheme. 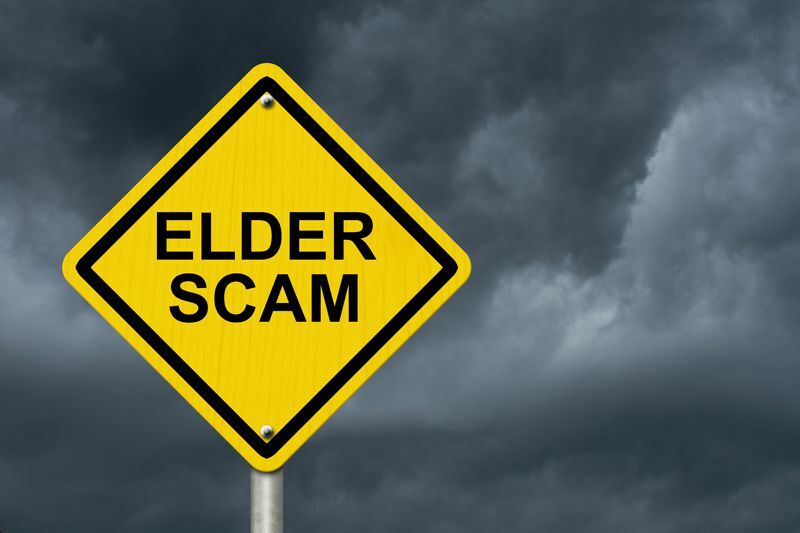 The District Attorney in Pittsburgh, Pennsylvania says that Bell swindled the elderly man out of $322,000 by falsely telling him she needed the money to get back Medicare “bed licenses” she lost while incarcerated. Prosecutors say her claims were completely fabricated and that she lost her nursing home and right to participate in Medicare after her prior convictions. Court records indicate the money stolen from the man was used for shopping at Victoria’s Secret, furniture, two different casinos and to pay restitution to the victim of her prior conviction! Bell spent more than 2 years in a Pennsylvania prison for charges related to the death of one of her former nursing home patients. In the earlier case, 88-year-old Mabel Taylor died after being locked outside the nursing home on a near freezing night. According to press reports, employees tried to cover up the cause of Taylor’s by dragging her body inside, washing her and placing her in bed. The nursing home then told her family that she died in her sleep. While law enforcement officers were investigating Taylor’s death they discovered that Bell was also involved in a Medicare and Medicaid fraud scheme involving false billing. That lead to federal prosecutors charging her with felony healthcare fraud for billing for medical services that were never provided. A federal judge then tacked in an additional 5 years to her sentence. If that wasn’t enough state prosecutors also charged Bell with stealing $51,000 of payroll money from the same nursing home and sentenced her to 6 months on that charge. After spending 7 years behind bars, Bell was released from prison in 2013. That is when Pittsburgh prosecutors say that Bell met her latest victim. They say that Bell knew the victim through a mutual acquaintance. Bell is presently free on bail awaiting trial on the newest charges. In addition to the new charges, she could face probation revocation proceedings tied to her earlier charges. Like all criminal defendants, she is presumed innocent until proven guilty. This story is a reminder that Medicaid fraud is never a victimless crime. Not only did Bell serve time for bilking taxpayers, she also was responsible for the death of an elderly patient and stole payroll money from employees of the nursing home. That she would now be re-arrested just after her prison release is unfortunately not surprising. Pennsylvania is one of 21 states without a state False Claims Act. These laws allow private citizens with inside knowledge of Medicaid or Medicare fraud to file lawsuits in the name of the state. If the lawsuit is successful, the whistleblower typically receives an award of between 15% and 30% of whatever monies were collected from the fraudster. Even though Pennsylvania does not have a whistleblower award statute, the feds do. Since about half of Medicaid funding comes from the federal government, whistleblowers in the Keystone State can still collect sizeable awards. Interested in a large award but don’t have a lawyer? The Coalition can help. Call our operators at 888.742.7248. They will have a lawyer call you back with 1 business day. Never any cost or obligation. Lawyers that handle False Claims Act cases generally charge on a success or contingent fee basis. That means no legal fees unless they win the case. Whistleblowers provide a valuable public service by alerting authorities to fraud, misconduct and poor patient care. In cases like this, their tips can prevent patients from receiving unneeded or dangerous care. To find out more information about reporting healthcare fraud in Pennsylvania, visit our Pennsylvania Medicaid fraud information page or report online.